Name the weapon--I'll still beat you. 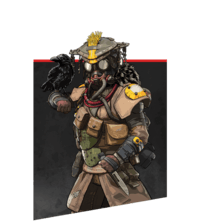 The Apex Legend Bangalore Guide explains the uses of the Tactical Ability Smoke Launcher, Passive Ability Double Time and the Ultimate Ability Rolling Thunder. We recommend using weapons like G7 Scout, Flatline, Devotion, Peacekeeper due to the playstyle and abilities of this character. Also Playing With Bloodhound will make your abilities more effective and stronger whereas Playing Against characters like Bloodhound, Gibraltar have abilities that can counter your own. 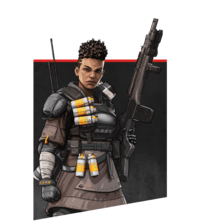 This is the Apex Legends Bangalore Guide for Abilities and how they interact in the game. Fire a high-velocity smoke canister that explodes into a smoke wall on impact. In a tight spot? Try shooting your smoke at your feet and hiding within it, you cant see anything, but there is a good chance the enemy cant either. You can hold a maximum of 2 smoke launcher charges at a time. When shot at an enemy deals a small amount of damage (10). Upon impact the shell splits into a small AOE cluster to form a wall of smoke. Vision Control: The ability to see enemies through your Smoke Launcher. Taking fire while sprinting makes you move faster for a brief time. Call in an artillery strike that slowly creeps across the landscape. An AOE ability that rains missiles from the sky that explode after landing dealing damage and applying shellshock. These Legends are what Bangalore is weak against. These are the best characters to play with Bangalore as a team. List of all the Skins for Bangalore with images and orginized by rarity.